£25.2m profit: £31.5m exit paved the way for the emergence of a Southampton gem | The Transfer Tavern | Where football transfer rumours fly or die! Southampton supporters have been in high spirits in recent times after seeing their team record just their second Premier League victory of the season on Sunday. Ralph Hasenhuttl’s men went into their encounter with in-form Arsenal off the back of tasting defeat in the Austrian’s first game in charge against Cardiff City a week earlier, and thus seeking to bounce back in his opening home match at the helm. And his team responded brilliantly by edging past Unai Emery’s Gunners 3-2 on Sunday, with a brace from Danny Ings and a Charlie Austin header inspiring the Saints to only their second win of the campaign, in turn moving them out of the Premier League’s bottom three. Thus, there have been many thrilled Southampton fans up and down the country in recent times, several of whom are likely looking forward to the new era at their club under Hasenhuttl, who appears to have already made a sizable impact upon appointment earlier this month. 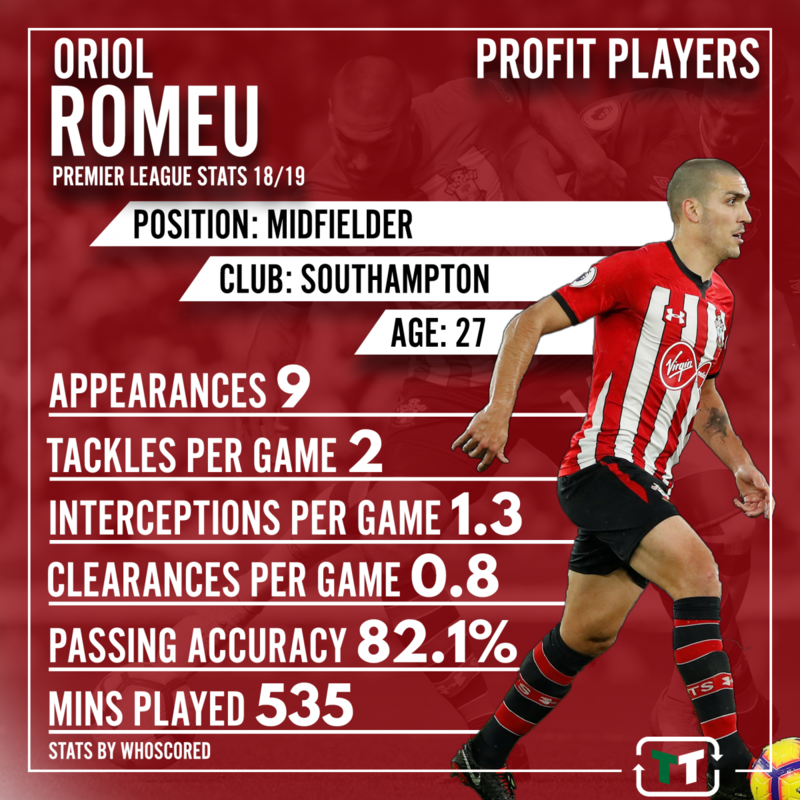 And one man who may well play a key role in Hasenhuttl’s team is midfielder Oriol Romeu, who made the move to St Mary’s from Chelsea back in 2015 for just £6.3 million (as per Transfermarkt). And with fellow central midfielder Morgan Schneiderlin making the move to Manchester United a month earlier for a staggering £31.5 million (as per Transfermarkt), Romeu’s arrival appeared to be in response to the Frenchman’s exit, with that departure very much paving the way for the emergence of a Southampton gem. Ultimately, it was always going to be a tough ask to fill the boots of 29-year-old Schneiderlin, what with the midfielder consistently producing the goods throughout much of his time at St Mary’s, not least in his final few years at the club to help establish them in the Premier League – there’s a reason United paid big money for his services. 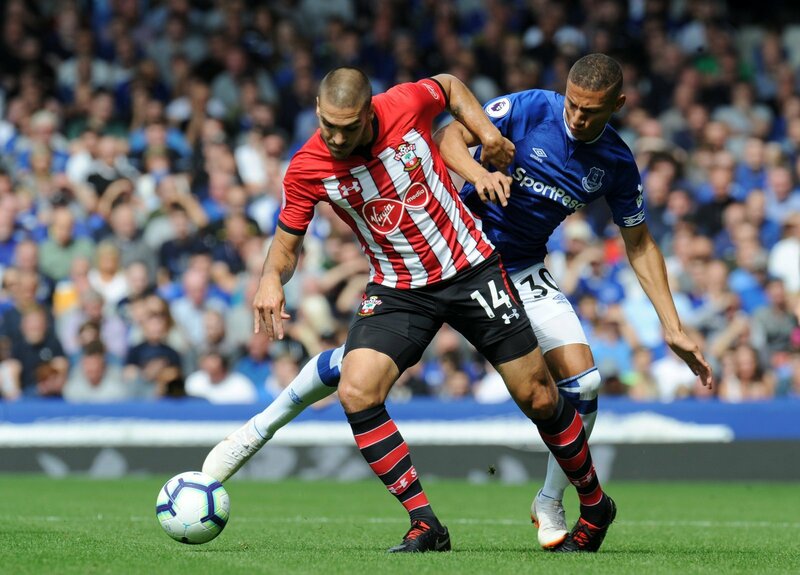 And the arrival of Chelsea’s Romeu to replace the France international didn’t exactly excite Saints fans, but he has more than proven his worth to the South Coast outfit over the years in helping make that midfield spot his own – as a result, they haven’t really missed Schneiderlin at all. Former Spain youth international Romeu appeared 29 times in the Premier League in his first season at St Mary’s to play a key role in helping Ronald Koeman’s side finish sixth in the top-flight, before adding 35 league appearances the season after under Claude Puel as the Saints again finished in the top ten. Add in his 34 Premier League appearances last time round as the South Coast outfit just about avoided the drop, and the 27-year-old has played a vital part in what success Southampton have had in recent years – last season aside, he has played a starring role in a top-ten team. And while he hasn’t always been a regular this term with just nine Premier League appearances to his name so far, Romeu continues to deliver when called upon by the Saints, while starts in both of Hasenhuttl’s matches so far suggest that he could be set for a crucial role under the new Southampton manager. And Romeu’s emergence at Southampton has all come about as a result of the club’s decision to sell Schneiderlin back in 2015, in which not only did the Saints make a £25.2 million profit on the two deals, but it also paved the way for the emergence of a St Mary’s gem.